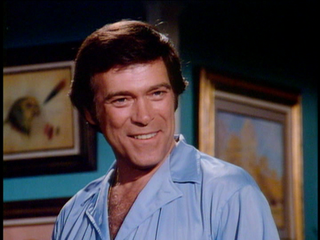 My recent write-up of The Rat Patrol got me thinking about Christopher George. George was a favorite actor of my youth, a man’s-man sort of guy who could also believably be a boy’s-hero. There were other tough guys of his generation that I liked, notably Robert Vaughan and Robert Conrad. Robert Vaughan was suave-urbane tough in The Man from U.N.C.L.E., and Robert Conrad was dashing-western tough in The Wild Wild West, both shows I enjoyed. Each of them were interesting, but it was Christopher George I most wanted to be like. The Rat Patrol was certainly a major reason for this; I grew up in a military family, and his portrayal of Sgt. Troy had a big effect on me. 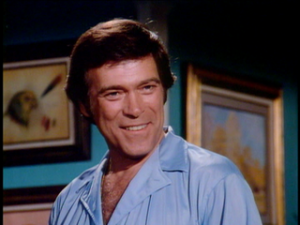 But as I look back it seems like Christopher George was always around, in movies and on TV, and that I was always happy to see him in even the cheesiest movie-of-the-week. The guy seemed to like to keep busy, and he seemed to really enjoy acting. Which I think was part of his appeal. He obviously got a kick out of life, and that extended into his roles. His demeanor was someone who was trying to get everything he could out of life. Christopher George acted on stage and in commercials, working steadily until landing roles in El Dorado and Chisum, during which projects he got to meet, work with, and befriend his boyhood idol John Wayne. (George cited Wayne as the reason he had joined the Marines.) Wayne and George would be lifelong friends. It’s funny — while George had a tough-guy image, most of my memories of him seem to feature him smiling. I think it’s because that, no matter how hard a character he was playing, he was having a good time and it came through. He was especially noted for smiling once he married Lynda Day (who also had a role in Chisum). The two seemed to be the perfect Hollywood couple, obviously very devoted to one another and often co-starring in productions. I also recall them appearing on talk shows and game shows together. They seemed inseparable, and very happy to be so even when appearing in cheesy horror movies. One series he appeared in of which I have only a vague memory is The Immortal (1970), first a movie-of-the-week and then a short-lived series. The story involved Ben Richards, a fellow who had a peculiar body chemistry that made him immune to all diseases, which trait made him the focus of an ailing millionaire who wanted to keep Richards as a private transfusion bank. The far-fetched premise was insupportable for a whole series — how many situations can you put a character into that are solved by not catching a disease? — but I still watched it because George was in it and I will be tracking it down to give it another try. 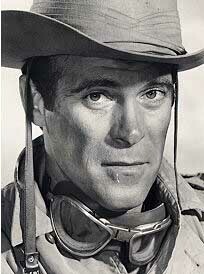 Christopher George died far too young, at age 52, from a heart attack that may have been in part due to an injury suffered during filming of The Rat Patrol. But he packed a lot of living into that time, and while not every one of his roles was Oscar material he always populated them with a distinctive style and energy. He also found the time to pose for a centerfold in Playgirl magazine and to tour in Vietnam with the USO, where he was a big hit with the troops not only due to his role in Rat Patrol but also because of the military background he shared with them. 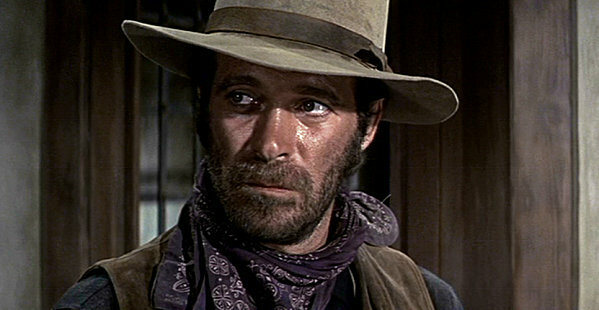 Christopher George was like the very cool uncle I knew only distantly, a role model for how to be a “real” man. 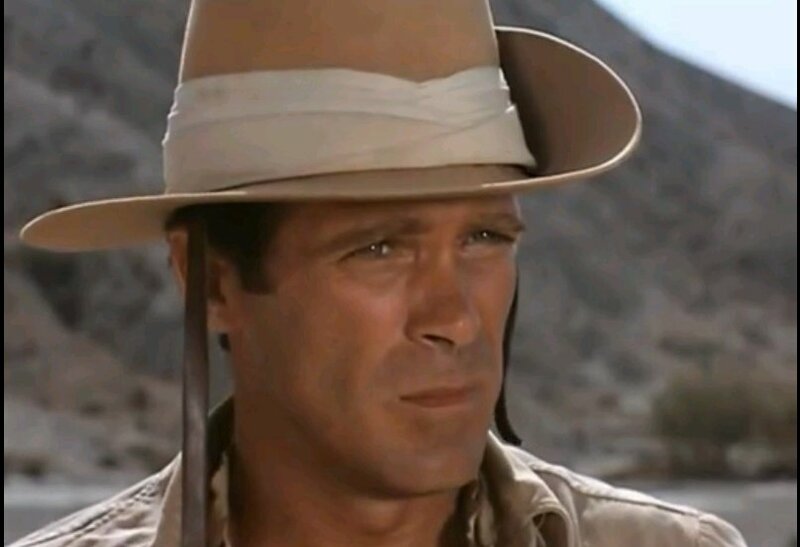 In a Hollywood full of people who are rarely who their PR makes them out to be, Christopher George was the real deal, strong enough to be confident enough to have fun in everything he did. I like to think that, in that respect, I grew up to be like him.